The Fujifilm X-T100 has arrived in the ePHOTOzine office and we've been out, capturing images with the mirrorless camera so we can share our first thoughts. The Fujifilm X-T100 is a smart-looking mirrorless camera that joins the X-series line-up, taking the total number of Fujifilm X-series cameras into double figures. As with the rest of the line-up, the X-T100 is compatible with all of the Fujifilm X-Mount lenses currently available and you can purchase the camera for a reasonable £619, which, after only getting hands-on with the mirrorless camera for a short amount of time, is proving to be excellent value for money. Even more so when you consider it comes with a 15-45mm OIS Power Zoom lens. The X-T100 has a 24.2 megapixel APS-C CMOS sensor, 4K video recording at 15fps and the camera features advanced automatic scene recognition, plus, face and eye-detection focus. There is a 3inch 3-way tilting touch screen which can be tilted forwards for self-portraits and Bluetooth is built-in. 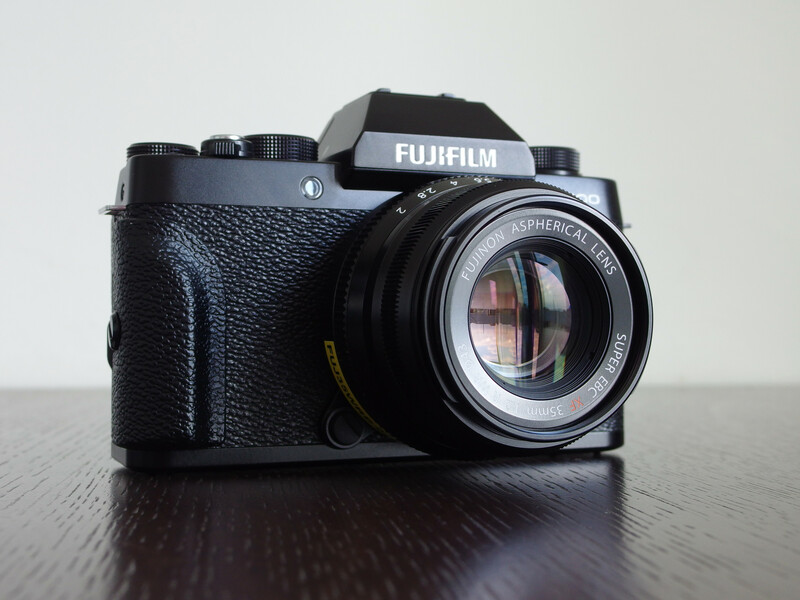 For those who like to have options, the X-T100 comes in black, dark silver and champagne gold. 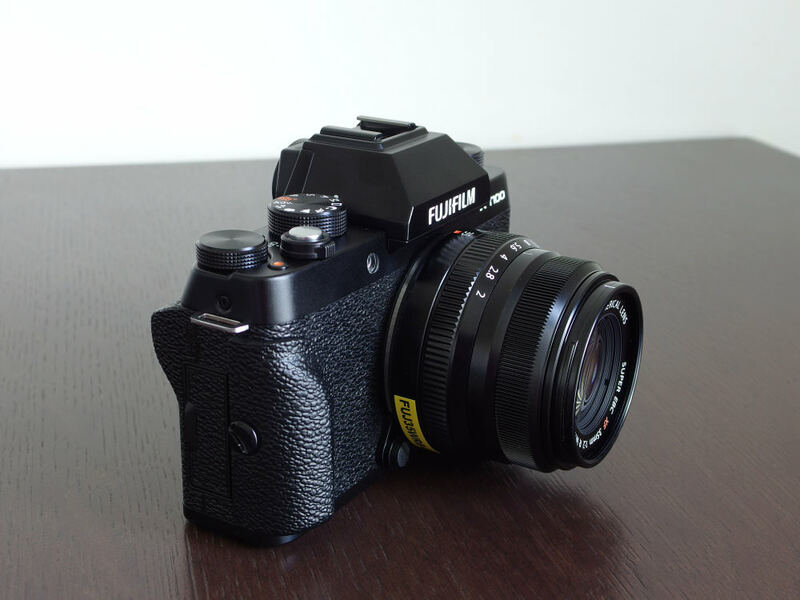 In for review, we have the black version of the Fujifilm X-T100 which has the vintage look we've all come to expect when the term 'mirrorless camera' is mentioned. However, when compared with other modern cameras with a similar look, this retro-inspired camera is definitely the closest in style to the 70s and 80s cameras it's paying homage to. 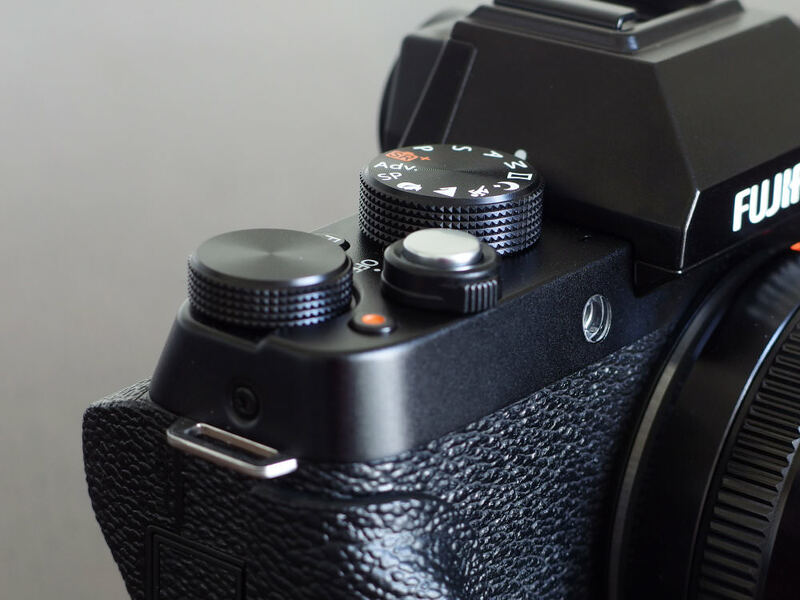 It's smart, stylish and follows the familiar design of the popular X-T series from Fujifilm, offering three control dials on the top section of the camera. The 3-inch, 3-way tilting touchscreen is bright and on-par with other cameras of a similar spec, as the electronic viewfinder, but as we've come to see, it won't be as popular with those who prefer the clarity of an optical viewfinder. Size-wise, the X-T100 brings a much-welcomed reduction in height over the X-T20 so it looks more proportional and offers slightly better handling. The camera only weighs 448g, too, so you can spend an afternoon walking around a castle, as we did, and not tire of using the X-T100. As for image quality, so far, with the few images we've captured, it's superb. Colour reproduction is very good, with good levels of saturation and exposure is reliable, too. Eyes are sharp in the pet portrait and detail remains sharp throughout all of the images. We will, of course, have more images and opinion to share once we've taken an in-depth look at the X-T100 but for now, take a look at the sample images below and feel free to share your first thoughts on the image quality with us in the comments below. [quote] as the electronic viewfinder, but as we've come to see, it won't be as popular with those who prefer the clarity of an optical viewfinder. [/quote] An odd comment for a mirrorless review. Those people will mainly be looking at DSLRs, presumably. Nice little camera, though. Quote: as the electronic viewfinder, but as we've come to see, it won't be as popular with those who prefer the clarity of an optical viewfinder. An odd comment for a mirrorless review. Those people will mainly be looking at DSLRs, presumably. Soooo tempting, grrrrrrrrr ! !....look forward to the full review though !. Just got this camera a week ago. In addition, as soon as the 15-45 lens became available in the US, I purchased it to put on my X-A3. 1. The lens is superb. Sure, it's a plastic "entry level" genre of kit - but its optical qualities punch far above its weight. I was amazed at the results - but even more so was the 22.5 MM wide angle equivalent focal reach (which makes a world of difference). 2. The camera is superb - excellent options, actually built like a little tank (heavier than one would assume - well constructed - gives the impression of an all metal body). I'm loving this camera. 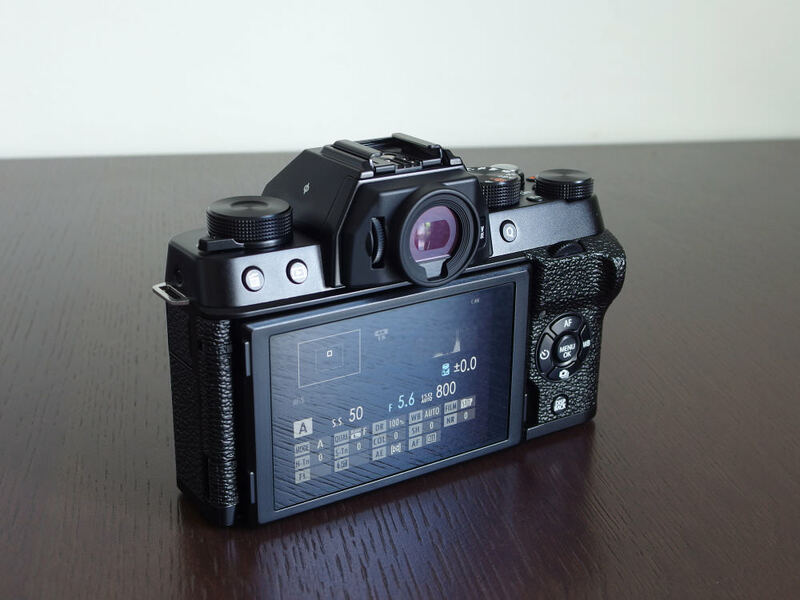 IMO, this camera will sell quite well for Fuji. To me (and I shoot with over 45 different digital cameras), this should "not" be considered as merely an entry level camera. This is also an excellent vehicle for more advanced shooters who want another, lighter Fuji X cameras (or wherever you're coming from). I'm also banking on the fact that I'm expecting lots of 3rd party makers to come with accessories for this camera (i.e. like an add-on grip, etc). Will look forward to that. Ben, that makes encouraging reading, with all your positive comments !.